While Sony is certainly getting ready to unveil an Xperia Z6 family of smartphones sometime this year, we do not expect that to happen at MWC 2016 later this month. Still, Sony did schedule a press conference for February 22, but what will it announce then? Well, among other things, it could showcase the new handset that we're seeing on the left (click to enlarge). According to Evan Blass (@evleaks), this handset is currently known as Sony Xperia PP10. Of course, "PP10" doesn't sound like a moniker that Sony would actually use to market a smartphone, so we're expecting it to have a proper name once it's released. 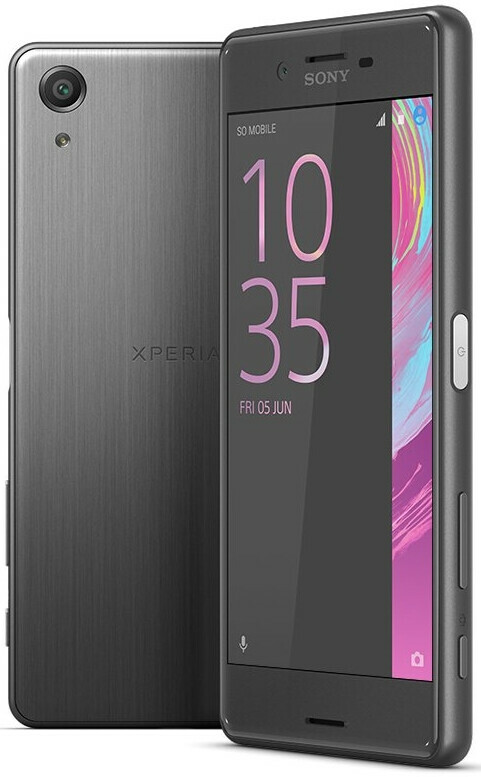 Unfortunately, at the moment, there are absolutely no details on the specs of this Xperia PP10. However, we're guessing that this is a mid-range device (possibly a successor to the Xperia M5), although, of course, we might be wrong. In any case, we can see that the handset features a dedicated camera button next to the volume rocker and the power button. Also included are dual front-facing speakers, and the usual rear and front cameras. It seems that the device is partially made out of metal - but, again, we could be wrong. We'll let you know more about this Sony Xperia PP10 as soon as we have new details. Yes the Sony design was copied by Apple? Apple iPhone design is different from the Xperia design. Xperia design is unique. Only a Sony has it. Not copied from any device. Nice . but hope it has a all white variant as well. It looks like a fake finger print scanner. looks like a scratch magnet. Can't be a mid range phone.. It has a power button similar to Z5 family which has a fingerprint sensor.. If this phone is a high-end phone you will see the writing on the side of the camera lens that shows information about the camera. Several other companies are starting to put a fingerprint sensor on their mid-end phones, i think it gives enough reason for Sony to do the same with their mid-end phones. Due to the front camera lens is not as big as the front camera of M5, I think this phone is the successor of the Xperia M4 or even M2. They really need to consider capacitive buttons like samsung, I love Sony but hate those on-screen navigation buttons. Not everyone likes capacitive buttons.I hate them. Samsung style capacitive buttons are little okay. I really don't like the capacitive buttons by xiaomi ,huawei,lenovo and other chinease vendors. I like xiaomi and lenovo phones hate the capacitive buttons. Yeah, it's my biggest complaint about Sony phones. The bezels appear to have improved. Seem nice. Go for it Sony! !